Buckingham County News: The Farmville Herald | slate river ramblings . . . . 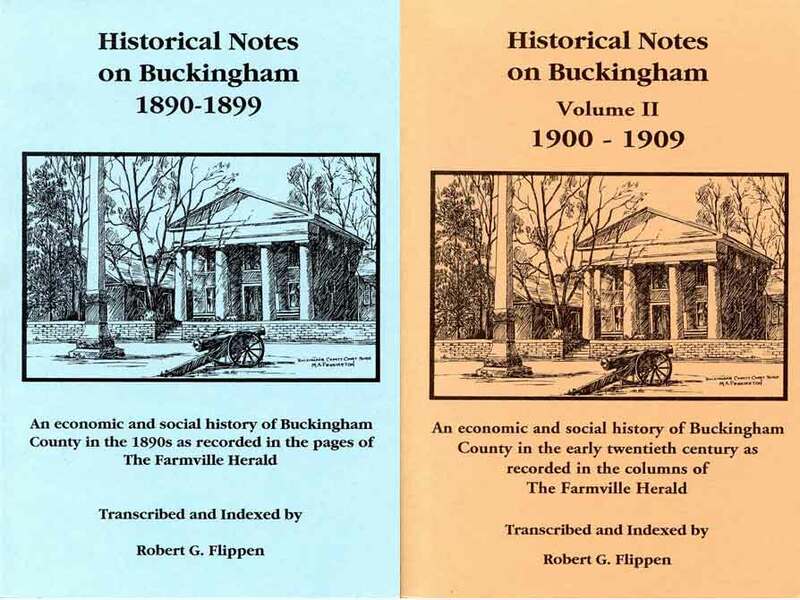 In two very valuable volumes, Robert G. Flippen has collected twenty years of Buckingham County news published in The Farmville Herald. The Buckingham correspondents to the Herald tended to concentrate on the southern part of the county, the communities nearest Farmville such as Sheppards, New Store, and Curdsville. Mr. Fayette Cox has returned to Missouri. He gave a very favorable report of the State, and several more of our young men expect to emigrate thither in a short while. Mr. William Nickelson and wife will leave Virginia for Pennsylvania in a week or so. It is distressing to see people go away, but we can’t help it.